While you are on leave, you can enjoy some great food and atmosphere at the following locations. Before planning your visit here are some pointers to make it easier. Always call the restaurant you wish to visit for information on the offer. Ask to speak with the Manager or the person listed here as the Point of Contact. Let them know you are responding to an Operation Open Arms offer and that you are a member of the U.S. Armed Forces with valid, active military ID and DD31 Leave Papers. You will be asked to show these items when you arrive. Make a reservation. When you arrive at the restaurant, identify yourself prior to ordering in case the manager or point of contact is not available. Geo’s is proud to provide free dining for any US Serviceman or woman returning from combat or a foreign duty station. Call and introduce yourself to George or Lauren. Anything on the menu free of charge (excluding alcohol) for all US Servicemen and Servicewomen on 2-week leave from combat areas . Military ID and DD31 required! We at George & Wendys Corner Grill would like to offer a free meal at our restaurant located on Sanibel. Military ID and DD31 required. Service member and family eat free during 14 Day R&R with return to combat orders! Dinner and non-alcoholic beverage for two. Bubba’s Roadhouse & Saloon is proud to be a part of Operation Open Arms. Anything on the menu is free of charge (excluding alcohol) for all US Servicemen and Servicewomen on 2-week leave from combat areas . Military ID and DD31 required! Lunch any Wednesday, 11:30 at the Elks Club, 3950 Radio Rd., Naples, FL. Dinner, 2nd Tuesday of the month at various restaurants. Any active or veteran marine, call for info on the detachment. 2 for 1 dinners at all 3 Lazy Flamingo Locations. One free hamburger or chicken sandwich at any location any time for Military members. Must have Military ID and DA-31 Form to qualify for offer. Buy one – Get one Free for anything on the menu. Located just south of Hancock Bridge Parkway on Del Prado. 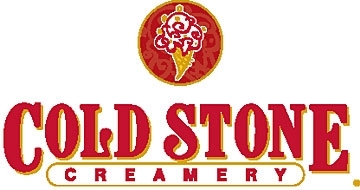 Any servicemen may enjoy any Coldstone Original Creation for them and 1 other guest who accompanies them. We would like to provide a gift certificate for local dining. Please contact us. Our way of saying thank you for your military service! Jules at the Flamingo Island Flea Market , Red 56, 58 and 60. Bonita Beach Road and I-75 Friday – Sunday 8-4. The Imperial Hotel and Front Room Restaurant offers dinner for two and overnight lodging with continental breakfast (alcohol and gratuities not included). These complimentary services are available Monday through Thursday and are subject to availability. Please call at least a week in advance for reservations. Brooks conveys an atmosphere of rustic and hip, with food a mix of comfort and style. It is casual fine dining located in the historic Radcliffe Mill in Chestertown. Brooks is pleased to offer dinner for 2, available to our service men and women on leave… 24 hour notice please. The Fish Whistle provides picturesque waterfront dining on the Chester River. They would like to offer $20.00 certificates to be used towards lunch or dinner by any Kent County serviceman or woman having recently returned from active duty overseas. Please show DD31 papers to the hostess. No need to call. Located in historic downtown Chestertown, the Lemon Leaf Café, is pleased to offer “2 for 1” towards lunch. Java Rock is an attractive coffee house and lunch café located in picturesque Rock Hall. They would like to offer a $10.00 certificate towards lunch to returning service personnel . Swan Point Inn is a relaxed, casual dining establishment, one block from the Rock Hall beach. Diane would like to offer ½ off entrees.